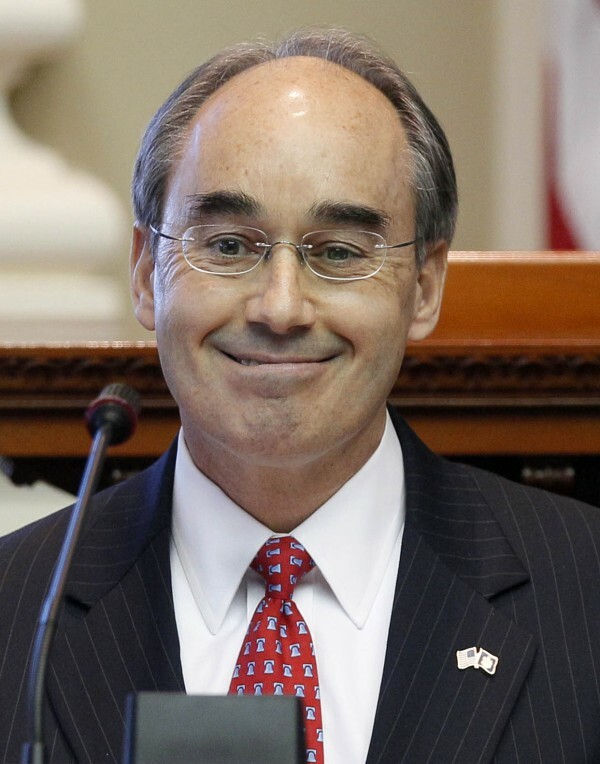 AUGUSTA, Maine — Maine’s highest court has declined to issue a ruling on a complaint that state Treasurer Bruce Poliquin violated the state Constitution by engaging in commerce while in office. Poliquin — a former Republican gubernatorial candidate who is now running for U.S. Senate — has faced scrutiny for weeks about whether his real estate holdings and his connection to a private beach club constitute commerce. Article V, Part 3 Sec. 3 of the Maine Constitution says a constitutional officer cannot engage in commerce while in office. Poliquin directly has been involved in both the Popham Beach Club, a private club in Phippsburg, and Dirigo Holdings LLC, a real estate company, since he was elected as state treasurer. After repeated attempts by Democrats, the House voted unanimously late last month to ask the Maine Supreme Judicial Court to settle the matter. The supreme court accepted amicus briefs in the case and received one from each side. The House Democrats prepared a brief asserting that Poliquin was in violation of the Constitution. The conservative Maine Heritage Policy Center submitted a brief in support of Poliquin. The brief opinion by the Maine Supreme Judicial Court signed Tuesday, March 27, and posted on Thursday concluded that there were no circumstances in Poliquin’s case requiring immediate attention and the six justices declined to answer the three questions outlined in the order. “The record contains no findings or adjudication regarding the nature of any alleged constitutional violation; no facts have been presented to the Justices through the communication from the House of Representatives; the questions themselves are presented in the abstract and do not indicate the context in which they should be evaluated; and the record is silent with regard to the need for the discharge of any duties of the House of Representatives or the proposed commencement of any action by the Executive or Legislative Branch or any other governmental entities,” the opinion reads. In a statement Thursday, Poliquin said he was pleased with the decision. “Since becoming State Treasurer, I have not been involved in the ongoing management of my personal investments. I have and continue to extend my full energy and attention without any conflict of interest to my job as State Treasurer, an office which I am greatly honored to hold,” he said. The Republican-backed House request that sent the matter to the court was significantly different from Democratic Rep. Mark Dion’s initial request, which had more information and asked more questions. It’s not clear whether Dion’s request would have resulted in a different decision by the court, but it didn’t have legislative support. Earlier in the session, Dion had asked Maine’s attorney general to issue an opinion on Poliquin’s business dealings. Attorney General William Schneider advised Poliquin to disassociate himself from most of his business ventures but did not indicate whether the treasurer violated Maine’s constitution. Schneider wrote that the section of the constitution is “general and without limitation,” and has not been challenged in court. “With respect to the Treasurer, any activities related to the active management of stock or other ownership interests should be handled by third persons in the absence of any authority suggesting that such activities are acceptable when undertaken directly,” Schneider wrote. Dion said the court’s decision was hardly an exoneration of Poliquin. “Instead, the court has declined to comment on the matter because the questions the Republicans presented to the court were flawed. The brief filed by the Democrats attempted to address those shortcomings with additional facts,” he said in a statement. “Democrats believe the court of public opinion is clear: the Treasurer was engaging in commerce as the owner of the Popham beach club and a multimillion-dollar real estate development company. Those actions are prohibited by the Maine Constitution. House Speaker Robert Nutting said he wasn’t surprised by the ruling. It’s not clear what will happen next. Republicans in the House are content to put the matter to bed and Democrats may have exhausted all their options. Poliquin said he hopes matter is resolved. Follow BDN reporter Eric Russell on Twitter @BDNPolitics.